This residential landscape design was constructed in response to an empty lot near the driveway for the property. The client requested plants that bloom during summer months when they used the home. An additional goal for this design was to create a landscape that would deter neighbors from using the empty lot for overflow parking in the neighborhood. 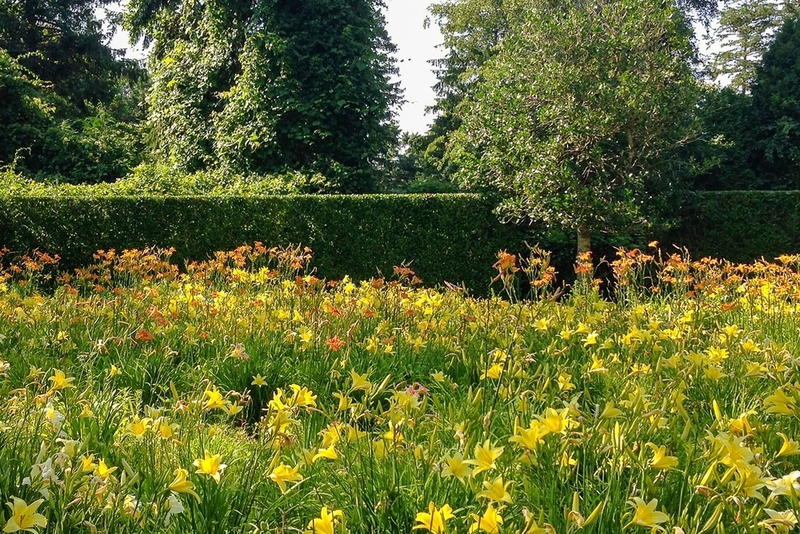 Various varieties of daylilies were chosen to ensure the field would bloom continuously from June through September. The Lily Field is a sustainable Cape Cod landscape design. To learn more about the sustainability aspects of this project as well as the lecture Kimberly gave at the Poetics of Plant Design Colloquium at Harvard Graduate School of Design, click here.